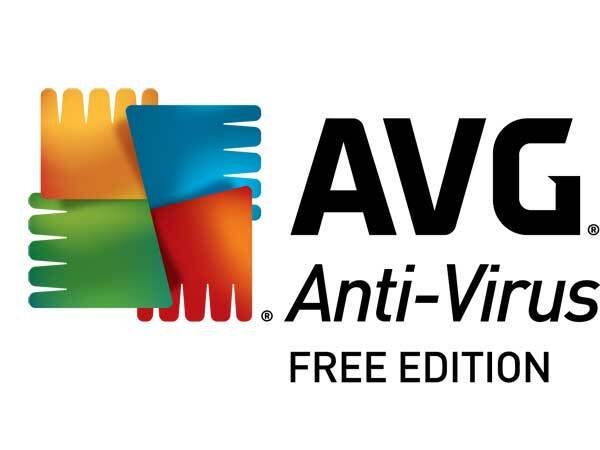 I know that we like AVG and generally put the free version on customer’s PCs that we work on (unless they already have a different decent anti-virus). But are you as tired as I am with how annoying it can be to keep the product as the Free version? Well, here’s how to keep AVG free, truly. As of late, it seems AVG is getting more aggressive and more sneaky when it comes to either shoving ads down our throat with their Free product or ‘accidentally’ upgrading you to the trial version of the paid-for Internet Security suite. I understand that they are a business and need to make money, but seriously, it’s getting ridiculous. If you provide a ‘Free’ product, it truly should be free and free of crappy annoyances. AVG occasionally needs to do a major update and it will ask you to continue via a pop-up from the taskbar (down by the date/time on the bottom-right corner of your screen). Though this will look suspiciously like another one of their ads, it’s a legitimate thing, but also one where they will try to get you to install their paid-for product, or at least a trial of which will expire after 30 days. When the update message appears, click to continue but STOP when you see an option/link to ‘Customize Installation…’. Click on the customize link. On the next screen, mark or select the option for ‘Basic Protection’ which is just AVG’s way of saying you wish to stick with their Free product. Click OK or Continue to move on. As long as the above was done (and you didn’t accidentally click and miss the Customize), then you should be good-to-go once the update completes. Restart your PC as requested AFTER you have saved whatever you may have been working on. First close out of any messages you may be getting about your version being expired or about to expire. We’ll fix that soon. Go to the Control Panel (Start -> Control Panel, Windows Globe -> Control Panel, or Ctrl+X -> Control Panel). Click on ‘Programs and Settings’ or ‘Uninstall a Program’. In the new window that appears, all programs on your PC will be listed. 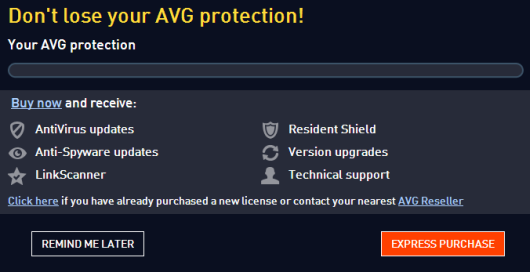 Find AVG or ‘AVG Protection’ near the top, click to highlight and then click on the Uninstall button above near the top of the list (you can also right-click on AVG and choose Uninstall if you wish). AVG’s uninstallation window will pop up showing 2 options, either to Repair or to Uninstall. Click on the Uninstall button. On the next window, DON’T click on the Uninstall button. You should see a small button that says Switch or Downgrade to Free Version. Click this instead of actually going through with the Uninstall. Once the process is complete, restart your PC as requested AFTER you have saved whatever you may have been working on. Congratulations, that’s it! I know, it should be easier, but such is the life of certain free software. I hope this helps in the battle of keeping your AVG protection truly free.